I have been anxious to read Lorie Landon's books. I have heard nothing but praise for her co-authored Doon series. Then when I head that she was coming out with her own story I was very excited to read it, especially after I read how intriguing it sounded. 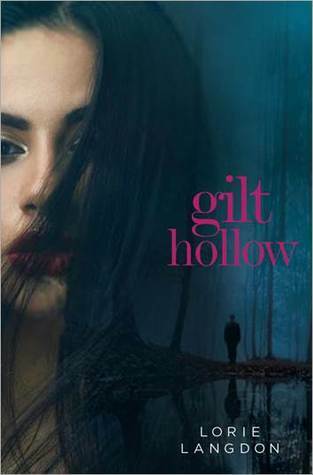 Gilt Hollow is a book that just captures you with the just the description. It is also a book that grabs a hold of you and pulls you in and doesn't let go. This story offered a lot of questions for you to think about as you read through. It gave you glimpses and then sent you to think about something else. Lorie's writing style was fun! Willow is a girl who is in a different type of circumstance then most will find themselves in. You are put right in the middle of her story. Ashton is a boy who has had four years of his life taken from in in prison. He has hardened and is angry, which considering everything is understandable. These two friends have led very different lives in these four years, but it was an interesting story to follow as we dove into there experiences. It was hard to turn away from the pages once started. It was a very gripping story. The level of emotions you could feel with the people of this story was great. There was good depth to them that made this story pop. I can't wait to go and read Doon now. Lorie Langdon is one half of the author team that writes the best-selling DOON series, a YA reimagining of Brigadoon!, published by Blink/HarperCollins. She has longed to write her own novels since she was a wee girl reading every Judy Blume book she could get her hands on. So a few years ago, she left her thriving corporate career to satisfy the voices in her head. 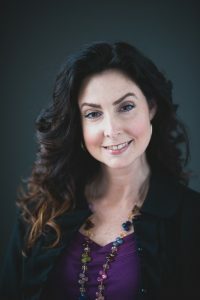 Now as a full-time author and stay-at-home mom, she spends her days tucked into her cozy office, Havanese puppy by her side, working to translate her effusive imagination into the written word. Really enjoyed this book. The atmosphere and shifting questions of "did he?" or "didn't he?" all makes this a fun, entertaining read. :) Glad you liked it, Kate.